The fact we have one of the most technologically advanced prepress departments, certified in Europe to ISO 12647/2, is certainly an advantage, yet it is also a responsibility. Exploring, processing and retouching images and documents require extra special care and the utmost attention to detail. These aspects mean that the team working here is one of Palermo’s mainstays. 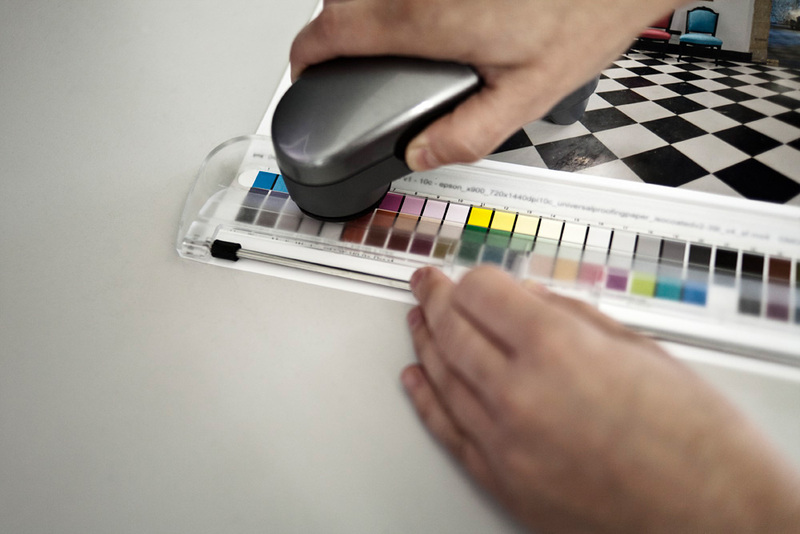 Our customers –our loyal travelling companions– oversee the colour and laser tests prior to the signature proofs. In addition, once the plotter proof has been obtained, they approve the subsequent filming of the plates. The understanding between both parties continues. Everything flows, nothing stays still. The process of creating a graphic product, a raft of different procedures, now makes its way to the print shop.